New one on the top 5 list! So, I got the pictures from un-reviewed Yellow Leaf visit. Ginger Tea: Excellent. Fresh ginger zinginess. 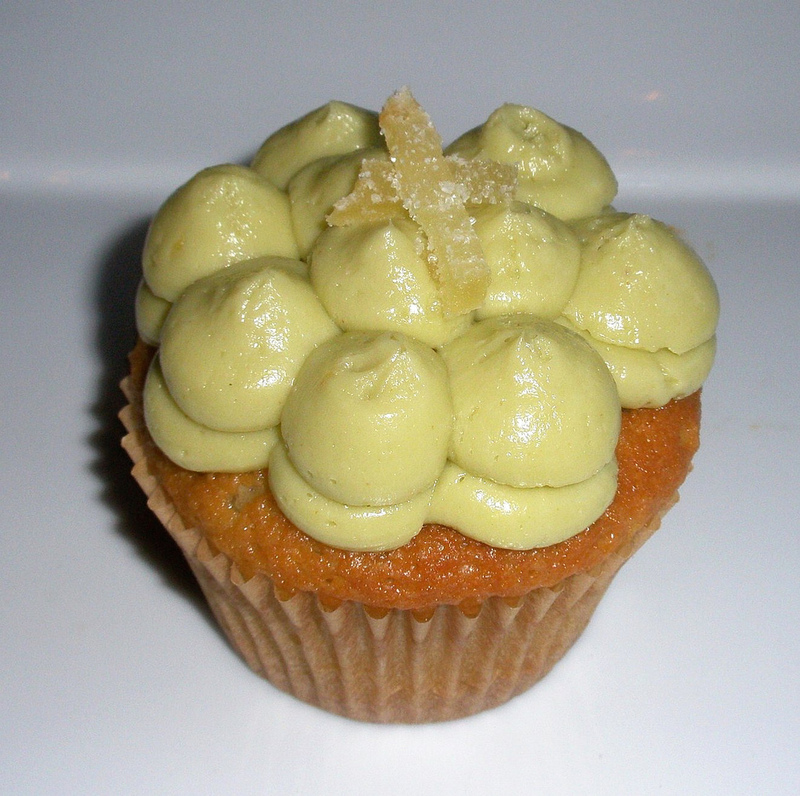 Usually Yellow Leaf’s icing isn’t that flavorful, but the ginger icing was. The flavor reminded me of Hagen Daz Five Ice Cream: Ginger. Creamy and ginger-y is very unexpected. Coincidentally, Mr Shuck’s shirt was the same color. This one makes it to the top 5! 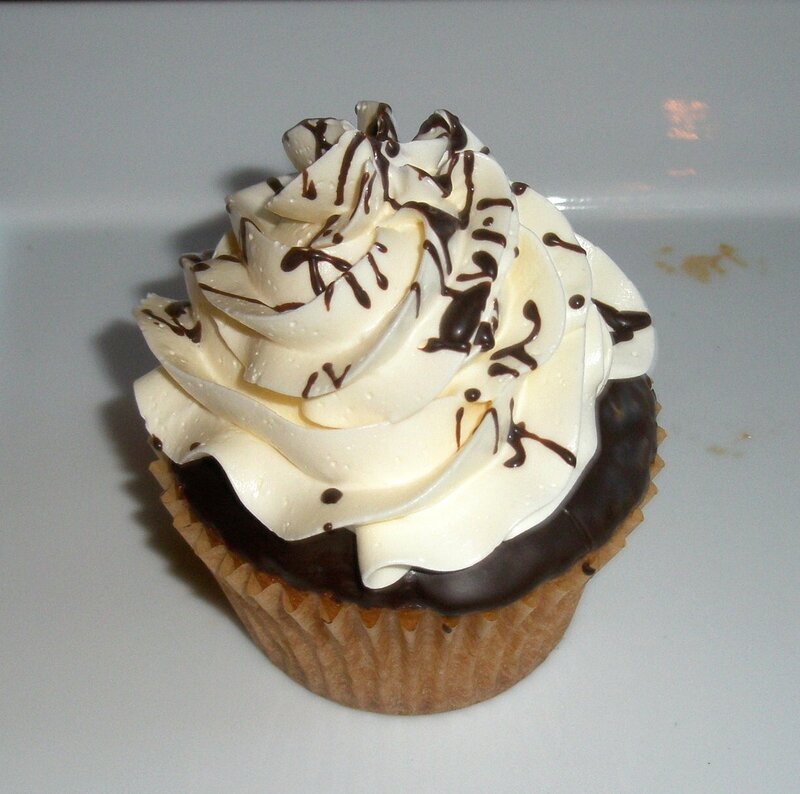 Boston Cream: Vanilla cake is always good at Yellow Leaf, but the vanilla icing is pretty tasteless. This could use more chocolate than the thin layer on top. Also not enough of custard filling. It was okay, but not great. 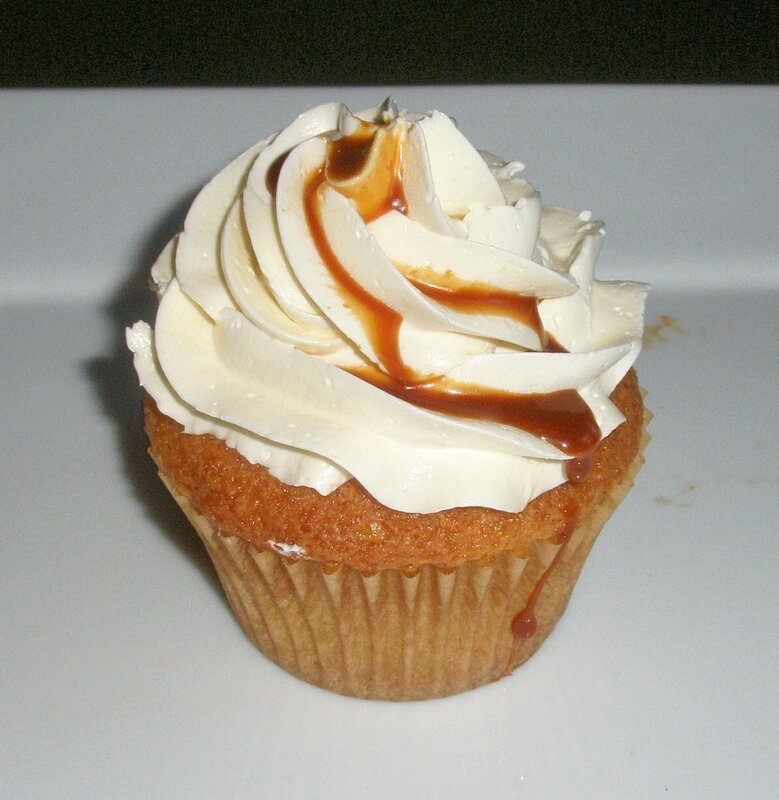 Dulce de Leche: I haven’t decided how I feel about this one. 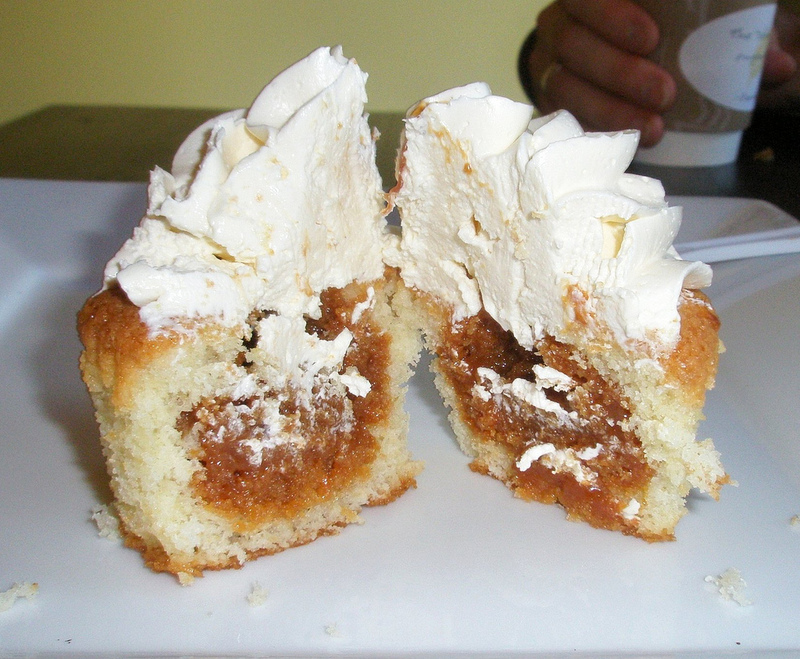 The filling was very significant and tasted like the canned dulce de leche: a slight burnt taste, extremely sweet. The icing had a mild caramel flavor.